Secular Progressives are becoming increasingly irreverent in the United States. Following the Las Vegas shooting, and more recently the Sutherland Springs massacre, some media elites and celebrities launched verbal tirades criticizing those who were praying for the victims. This was after Speaker of the House Paul Ryan, President Trump and others asked the nation for thoughts and prayers. 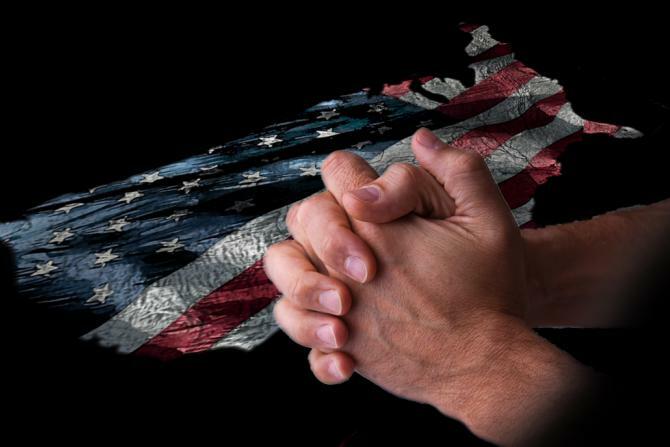 Prayers were welcomed and cherished in America for hundreds of years. Democrat President Franklin Roosevelt led the American nation in prayer over the radio the night before the D-Day invasion two generations ago. So why are SPs whining today that prayer isn’t enough? This Thanksgiving Week, I’m deeply thankful to God that prayer is more than enough. First, let’s recount the recent history of prayer bashing in our nation. Wave number one came from politicians who dissed prayer after the largest mass shooting in modern American history left 50 dead at an outdoor country music concert in Las Vegas on October 1, 2017. Notice that “D’s” are behind the names of these illustrious leaders. There’s a simple reason: Democrats have become increasingly anti-faith in the 21st century while most Republicans still officially hold to a belief in God and prayer. Let’s be clear about one thing. NO ONE uttered these kinds of words on June 5, 1944 when FDR led the nation in prayer. 1. What Prayer is and is not. Prayer is the incredible privilege of communicating with the Triune Being (God) who created the cosmos and sent His Son to die for our sins–bringing salvation to those who put their trust in Him. It’s the most intimate of relational gifts–talking to the One who loves us, possesses infinite wisdom and power, and who cares about every aspect of our lives. Daily strength, grace and wisdom for numerous life choices. Divine healing (some instantly! ), words of knowledge and supernatural occurrences that can only be explained by God’s direct and loving acts. Guidance for my life’s work, for marriage, children, and direction in areas of concern where I didn’t know what to do (Proverbs 3:5,6). Growth in character, love and grace–so necessary for navigating the pitfalls and trials of life. Prayer is deeply relational–talking to our Best Friend. It’s also highly transformational. I couldn’t imagine my life without the conduit of prayer to the One in whom “I live, move and have my being” (Acts 17:28). I had lunch today with the CEO of a transportation company. He shared with me how he prayed that God would send the “right person” to oversee part of their operation in Oregon. Nearly miraculously, a former Marine, with a degree in theology and former pastor, applied for the job. Perfect fit and answer to prayer. It happens everyday in millions of circumstances. Prayer is also the greatest gift we can offer another person. Since prayer gives an impartial God a reason to act in someone’s life, it invites Infinite Love into the heart and life of a friend to bless and encourage them. Is there any greater gift that a person can receive? Prayer is an act of humility, honesty, recognition of need, and often shows itself in gratefulness, a thankful spirit, and an other-worldly contentment. On the other hand, prayer is not meaningless babble, talking to the wind, or manipulating a spiritual vending machine to get what we want. Just as loving parents don’t always bow to the wishes of their children, so an all-wise God doesn’t give us what we desire, but to what we need. No wonder Franklin Roosevelt was right when he led our nation in prayer prior to the invasion to liberate Europe. God answered those prayers–though many gave their lives in the process. 2. Why we especially pray following tragedies and times of loss. There is no one on earth that can comfort our hearts more than our loving Heavenly Father, who even notices the birds when they die (Matthew 10: 29,31). That’s the main reason President Trump, House Speaker Ryan and many others encouraged us to pray following the latest mass shooting. No one can comfort the human heart like God can. When tragedy strikes, prayer brings the comfort, grace, strength and perspective of the God of the universe into individual lives. I’ve experienced that comfort on many occasions, and am deeply grateful. 3. So, why the boldness to trash prayer now? The answers are obvious. First, many celebs and politicians don’t know God through salvation in Jesus Christ. You can’t talk to someone you’ve never met (1 Corinthians 2:14 and 2 Corinthians 4:4). Second, a rising tide of atheism in the Western world increases the boldness of secular progressives to trash America’s faith and prayers. There is a major worldview battle going on between the godly and the godless. “Nones” (no religion) are growing in our culture–their voices getting louder and more militant. The demonic influence behind them wants to destroy all vestiges of God in our land. Makes their motives pretty clear. Jesus said we should pray for our enemies (Matthew 5:43-48), let alone for those that we love. Pray that God would reveal Himself to them, erase their doubts, forgive their sins, and change their lives. Those answered prayers will lead to gratitude, praise and a spirit of thanksgiving. We want all peoples to be reconciled to the God of grace and deeply grateful that “His love never quits” (Psalm 136). I’m thankful to God that prayer is more than enough. Great post, Ron. Those who have never experienced the power of prayer cannot be expected to understand its value. Yet so much of the shaking that is happening in our nation and the world right now is a direct result of God responding to the prayers of His people. Your kingdom come, Your will be done!